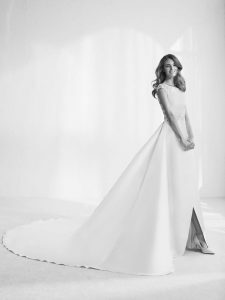 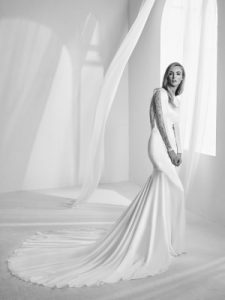 Here at Knutsford Wedding Gallery we have access to some fantastically talented seamstresses, this gives you the opportunity to customise your dream dress. 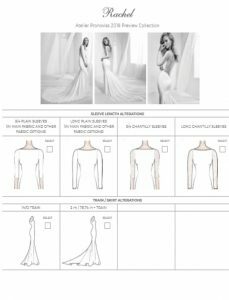 Whether its altering necklines, backs or adding sleeves it can all be done to make your dress totally personal and bespoke to you. 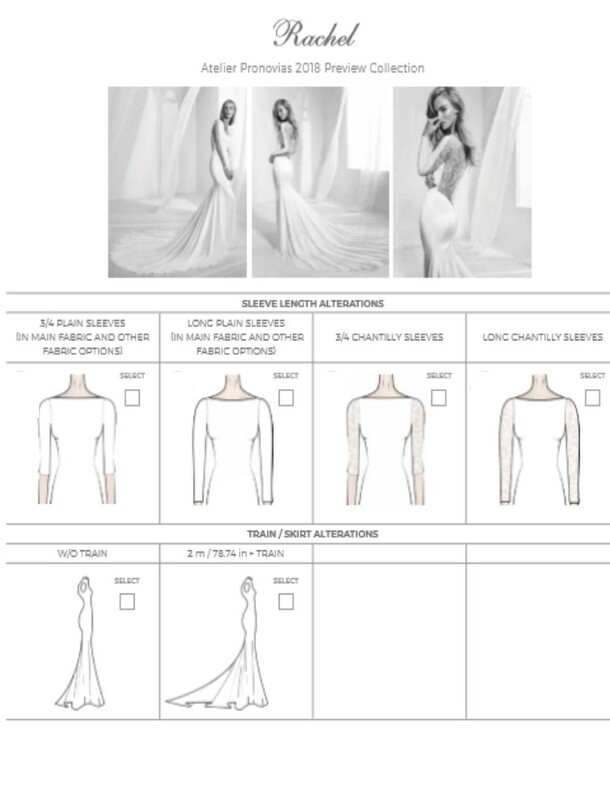 Some of our designers also offer this service at the point of manufacture depending on the dress. 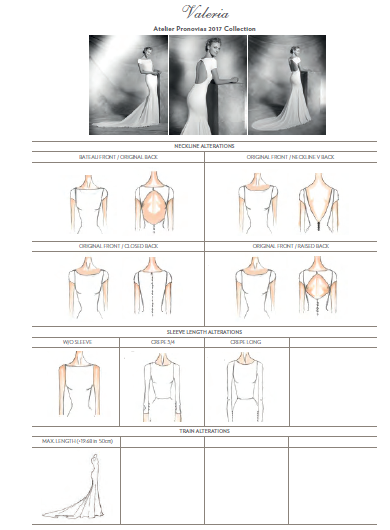 See below some examples of how you can customise your dress or changes that can be made by the designer. 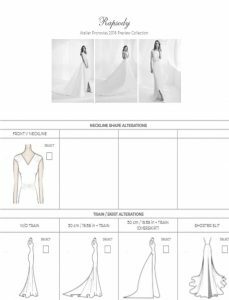 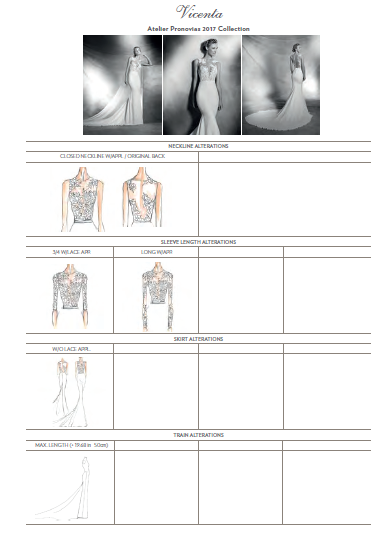 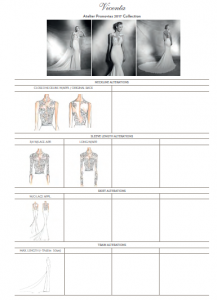 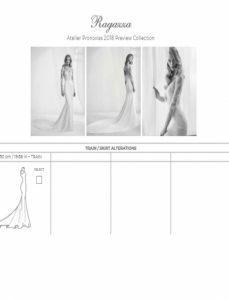 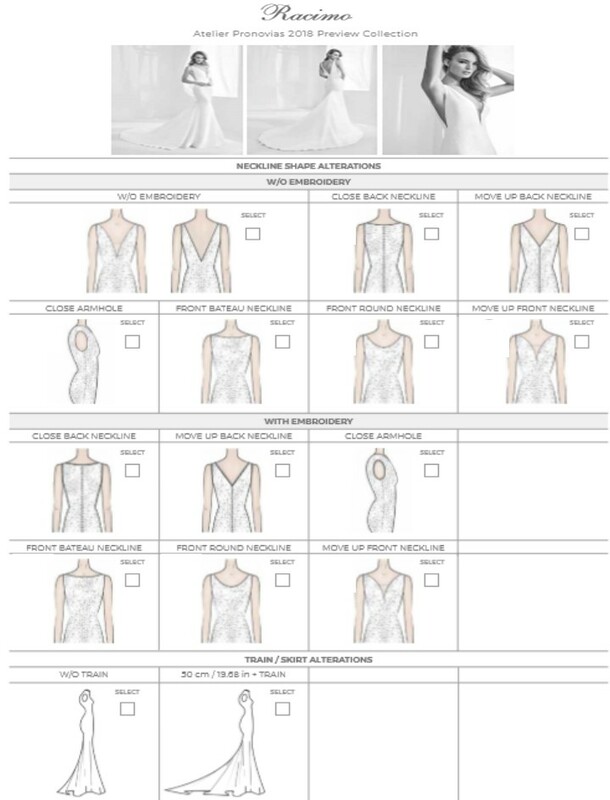 Below images are taken from Pronovias Atelier design adaptions. 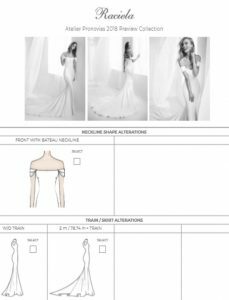 Just ask any member of our team about the customisation service and we can arrange a consultation with a seamstress to help you create your gown perfect.